Kindred Protective Arts offers individual and small group instruction and seminars in Presas Arnis and Force Necessary, and hosts the Kansas City Presas Arnis Meetup on Meetup.com. Presas Arnis is a blend of two major Filipino Martial Arts styles - Modern Arnis (Remy Presas) and Kombatan (Ernesto Presas). Force Necessary teaches situational, event-based, scenario-based self defense and fighting tactics to military, police and citizens. Both styles use a variety of tools and weapons to train with, including knives, sticks, swords, as well as empty-hand techniques. Instructors are Kevin Bradbury and Jackie Bradbury. See KPA Instructors page our the website for full bios at www.kindredprotects.com. 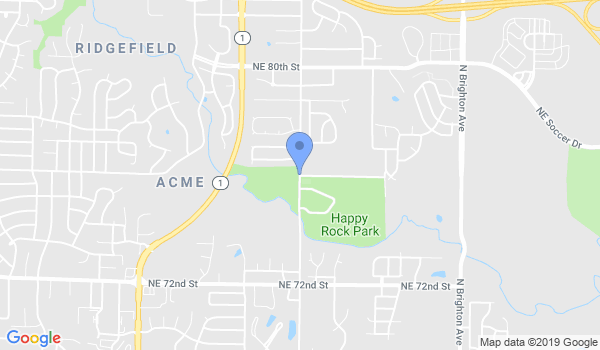 KPA hosts the Kansas City Presas Arnis Meetup at Happy Rock Park in Gladstone from 7:30 am - 9:00 am on Saturday mornings. We meet near the playground/bathrooms in the park on the east side of NE Antioch. There is no fee to attend but regular participants will need to purchase a pair of 28" rattan sticks and a training knife (see instructors for details). Would you like more information on hours, classes and programs available at The Kansas City Presas Arnis Meetup/Kindred Protective Arts? Please contact the school with your questions. Update the details, Write a Review or Report Error of The Kansas City Presas Arnis Meetup/Kindred Protective Arts. View all Dojo in Kansas City or in Zip code 64118. This Chart shows the Martial Arts Styles offered most in Kansas City, Missouri area. View a list of Dojo in Kansas City, or enter your address below to find schools closest to you.